Just moments ago a group of 5 UCPD officers detained a man at the Tolman Hall occupation for allegedly striking a police officer earlier in today’s scuffles. With a dispersal notice immanent, those that are still inside Tolman Hall and are calling for everyone to come support them. No justice, no peace! 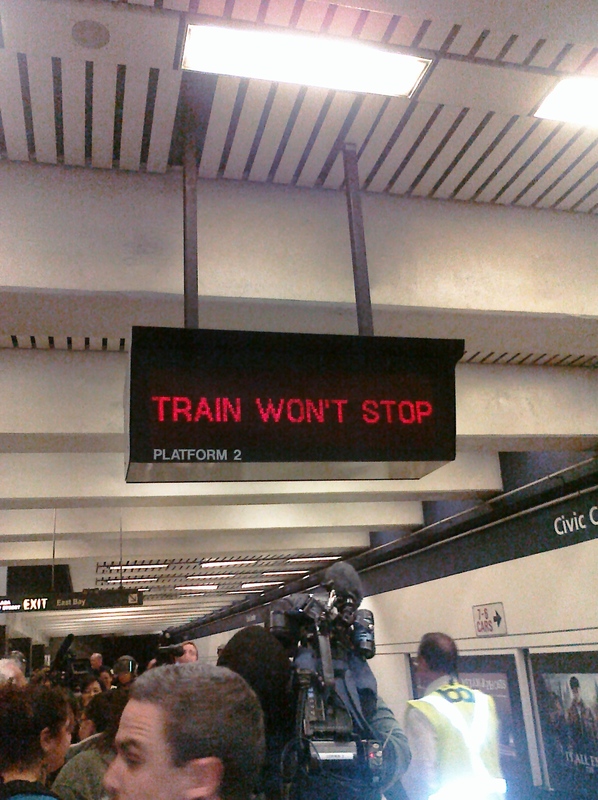 Disband the BART police! Tier 0: If the state gets $3 billion to $4 billion of the money, the state will not impose additional cuts and roll over any balance of the problem into the 2012-13 budget. — $1.5 billion reduction to K-12 schools that allows districts to drop seven classroom days. That would lower the required total to 168 days, down from 180 days three years ago. All cuts would take effect Jan. 1, 2012, except for the school year reduction, which districts could impose starting Feb. 1, 2012. 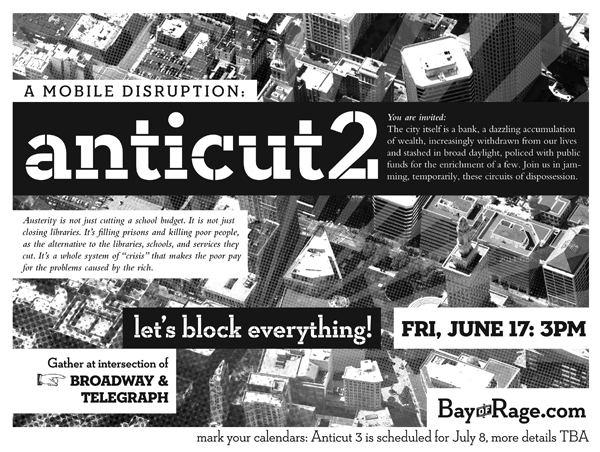 Following on the heels of Anticut 1 nearly two weeks ago, Anticut 2 is set to take place this Friday, June 17. Last week saw roughly 150 demonstrators flyering against austerity, with a special emphasis on the impending library closures, during Art Murmur. Let’s see if we can turn out a larger crowd this time around. People will begin gathering where Telegraph meets Broadway at 3 pm. Anticut 3 is scheduled for July 8; check the Bay of Rage site in a few days for details. Oscar Grant (RIP), our brother. It feels like the man has just been laid to rest, and the pig is already out of jail. Like adding insult to injuries, poverty to brutality, the policy of austerity is now about to starve our schools, libraries, WIC, and social services of funding. The white male power structure has caused an economic crisis. Andas usual, they expect us to pay for it with our futures: with our educations, our libraries, and in brother Oscar’s case (and many more), our lives. We’re left with few other options for survival other than turning to the underground economy: hustling or homelessness. And as you read this, they’re inventing brand new ways to put you in jail for both. 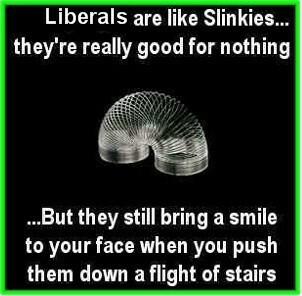 You and I would have to be blind and bamboozled to ever think that any politician liberal will ever deal with our problems. For proof, we need only look at how they treat our children, and our martyrs. Our Oscar Grants. Our Gary Kings, whose mural was sand-blasted off of the pillars on MLK in north Oakland. 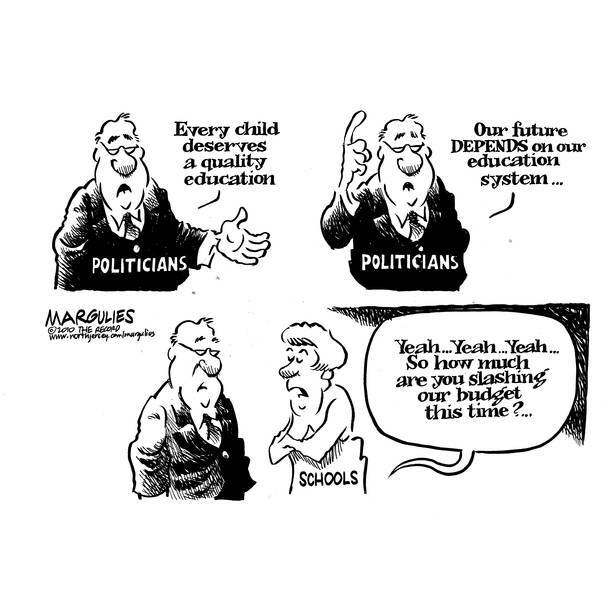 The policy of Austerity is not just cutting a school budget. It is not just closing libraries. It’s filling prisons and killing poor people, as the alternative to the libraries, schools, and services they cut. It’s a whole worldview, that the rich deserve to get richer by making us poorer. A whole system of “crisis” that makes the poor pay for the problems caused by the rich. Mehserle’s release in light of all this disregard for our lives just confirms what we know: the machine does not care. The faces of racism and capitalist change. From Bush, Schwarzenegger, and Dellums, to Brown, Quan, and Obama. The endless cycle of two-faced politicians supervising our genocide goes on endlessly because we have allowed them to control our lives. We must take matters into our own hands. To the streets, where the real power has always been. Mehserle is out of jail. Maybe Oscar Grant can’t get justice. But what we learned during these past two years isn’t off the table: when we seize the time, seize the streets, and openly rebel, we can effectively chin-check these pigs and make City Hall do a double-take before funking with us again. If it weren’t for you and I, and our collective power to rebel, Mehserle would never even have been arrested. Anticut 2: Let’s block everything! p.s. due to gentrification (genocide), the black population of Oakland has dropped by 25% since 1990. Due to austerity (genocide), 14 of our 19 libraries may be closed to keep the police paid and the prisons open. “Your child’s future was the first to go with budget cuts. California Democrats are attempting to bypass the GOP and force through a plan that would close the state budget but leave the state’s public education system in ruins. The Democrats’ proposal would further cut the University of California and California State University systems – after the $1 billion reduction approved in March – delay billions of dollars in payments to K-12 schools, and increase vehicle registration fees by $12 a year, along with other measures. Higher education officials also raised concerns. At CSU, a cut of $150 million on top of the $500 million cut announced in March could translate to a tuition increase of 10 to 15 percent next spring, said CSU spokesman Mike Uhlenkamp. UC President Mark Yudof has said that the university could absorb the current $500 million cut it faces without raising tuition but that any additional cuts would likely mean fee hikes throughout the system. K-12 schools and community colleges would lose $3 billion in owed money from the state, payments that would be delayed until the 2012-13 fiscal year. Schools also would have to wait for an additional $500 million payment that the governor proposed making as part of his May budget plan. The UC and CSU systems would face a cut of $150 million each in addition to $500 million cuts to each system approved by the Legislature earlier this year. 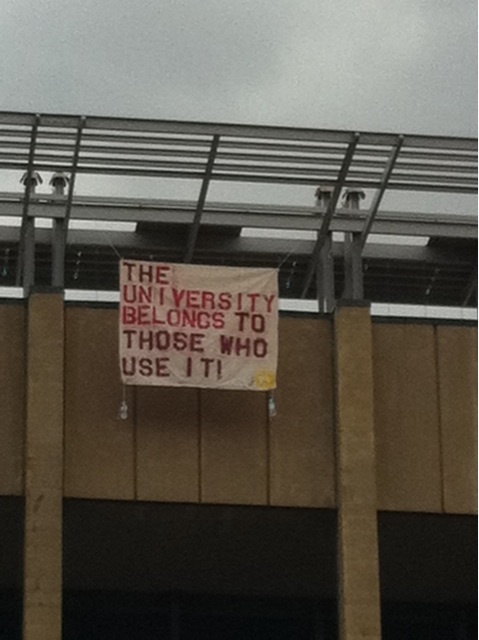 The state also could delay for two months a $245 million payment to UC. 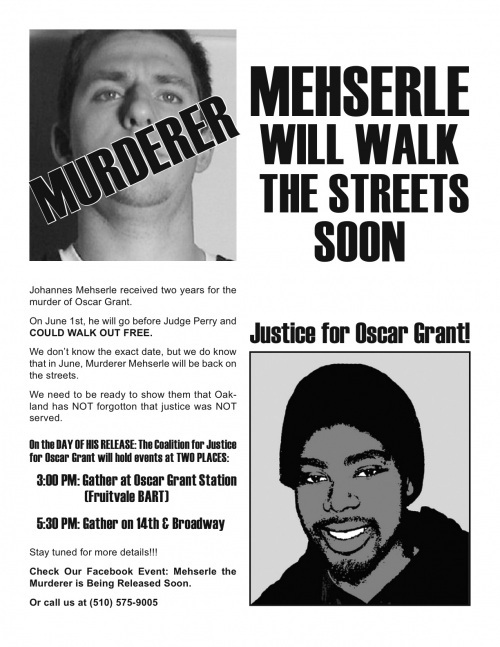 Mehserle to be released tomorrow — ALL OUT TO THE FRUITVALE BART TODAY AT 3! On Friday Superior Court Judge Robert J. Perry ruled that Johannes Mehserle should be released on Monday for good behavior after serving only half of his two-year term. According to the LA Times, extra cops will be deployed all over Oakland today. Hopefully we’ll see you at the Fruitvale BART at 3; otherwise, 5:30 @ 14th & Broadway. Let me get on that! "There is no unity between school and life, and so there is no automatic unity between instruction and education."